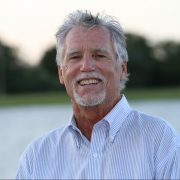 Jimmy Carroll helped me years ago to find a house on the marsh side of Wild Dunes on the Isle of Palms, South Carolina. Jimmy had the most properties available for sale compared to other Realtors by far. So many choices and that’s why I called him. He grew up on this island, knows this island like nobody else and found my dream house on the marshes like a magician. Jimmy has charisma, knowledge, drive and joy which makes him an irresistible, likable and successful real estate agent. Jimmy also became a friend of mine over time, a true friend. Then, after some years of living in the marsh house, I wanted a change of living, so he sold the house and found me a beautiful oceanfront home just outside of Wild Dunes. Like before, it is a perfect fit, a smooth real estate transaction handled very professionally. These are values that are hard to quantify in dollars. These experiences are great to remember. Today we are still enjoying our friendship and trusting each other over the years with important real estate transactions which will always be part of our long friendship. My friend Jimmy Carroll is the best. Jimmy is the best Realtor on Isle of Palms; it’s that simple. No-one knows the Island better than Jimmy. He kept his head when all of the turkeys around him were losing theirs. We were very, very pleased with Jimmy’s service!!! 5 Stars in all categories are well deserved. He was a pleasure to work with. I really felt like he had our best interests at heart throughout the entire process – from picking the best property for our needs all the way through and beyond closing. Jimmy knows the Isle of Palms like no other realtor-it’s his home and always has been. He has assisted our family over the years with several transactions, the latest being the sale of our home in 2013. I can’t imagine EVER doing business with another realtor. I’ve had the pleasure of working with Jimmy Carroll on numerous properties as I’ve known him the past 20 years. For any Isle of Palms real estate issues I always call Jimmy first! Jimmy is a long time resident and realtor specifically dealing with the Isle of Palms. Jimmy doesn’t just stop at selling property in an efficient and insightful manner. He is responsive to the slightest needs and understands nuance in negotiations that lesser experienced realtors typically miss. Jimmy serves on the Isle of Palms Town Council and understands the town inside and out. That is the type of realtor I want working with me. We have worked with Jimmy Carroll for 30 years buying, selling, and building. He has always been fair and always there when we needed advice. We highly recommend him for all real estate needs. Jimmy and his team are a real pleasure to work with. They build long term relationships with their clients and deliver a very high standard of service. We would recommend them to anyone looking to purchase or sell in the Isle of Palms area. Jimmy Carroll is the “realtor of choice” for the me. Over many years (since early ’80s), he has been instrumental in the sale and purchase of multiple properties for me (both primary and rental). His easy going, although professional, approach is a perfect match for those looking for an island property. His expert knowledge of the area, comparable listings, and sales is unmatched. If you are looking to purchase or sell a property and just can’t decide on just how to approach the task…JIMMY CARROLL is your guy! Jimmy is an invaluable, knowledgeable professional who made our beach property purchase a very smooth transaction. His familiarity with Isle of Palms is very impressive. Thanks, Jimmy! Our house on the Isle of Palms, SC sold in two days at the asking price. Jimmy was always supportive with good ideas. Very knowledgeable about all things on the Isle of Palms. A super nice person and very caring. Local isle of palms person. Great for out of state buyers to work with. Showed us whatever we wanted no pressure. Knows every house on the island. Let us decide and coached us on offer. We asked Jimmy to find a house on IOP for us within a defined few blocks in which no houses were for sale. He contacted all the homeowners and, over a period of six months, was able to negotiate a purchase for us with a somewhat challenging seller. Jimmy’s patience, responsiveness, experience and salesmanship were impressive and were critical to our success. Jimmy was instrumental in helping me sell my elderly parents house and getting the best price. He sold the house in less than 2 weeks. He definitely had my parents best interest in mind when negotiating with the buyer. Market knowledge, negotiating experience/advice, calm demeanor/approach and network of related referral recommendations (i.e. inspector, appraiser, closing attorney, other service providers) were all top rate. We have worked with Jimmy Carroll for 30 years buying, selling,building and selling. He has always been fair and always there when we needed advice. We highly recommend him for all real estate needs. We have had a wonderful experience working with Jimmy over the past 20 years; having purchased two homes and sold one and are currently in the process of looking for a new home on IOP with Jimmy’s help. He has always taken an interest in our needs and is responsive to all of our requests. His life-long presence on the island has given him an intimate knowledge of real estate as well as its people. He is a gregarious individual and working with Jimmy is a pleasure.. We highly recommended him. Jimmy was very patient with us as we went through a long process of finding a home. We had one home fall through after inspection and he took it in stride, His knowledge of the area – including the legal infrastructure and the people is invaluable. Also his ability to help find contractors was very helpful.